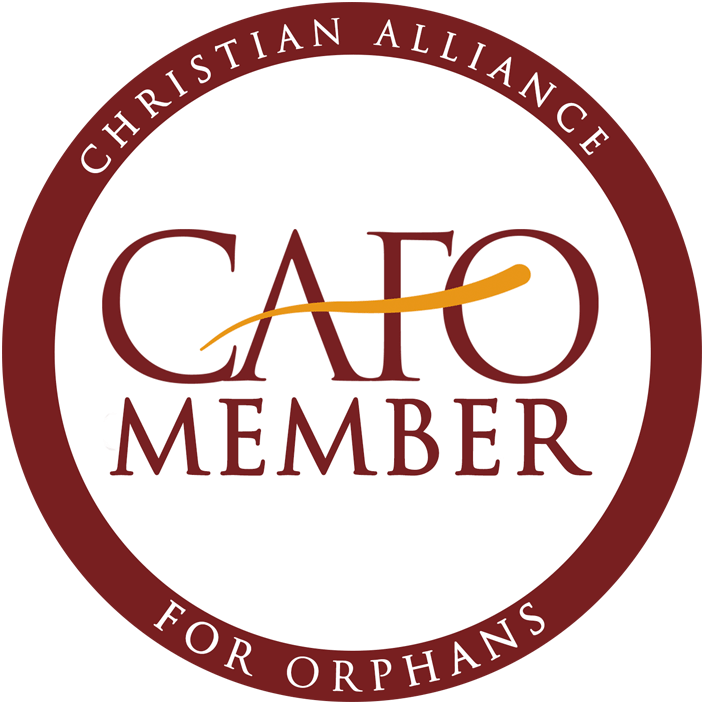 These are the families who have taken a leap of faith and committed to adopt one or more of our orphaned children most recently. We are thrilled to have them, and so grateful for this life-saving step to rescue our angels! Your continued financial support will give them the strength and courage to continue this journey! Hugh and Janet Berckmueller were college sweethearts and have been married for 26 years. Hugh and Janet always knew they wanted a big family, and they were blessed with six biological children. 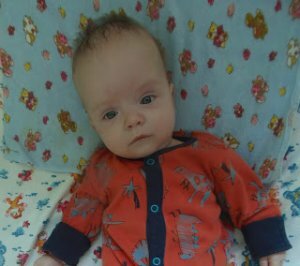 Their sixth pregnancy was medically complicated, and after his birth, it was determined that little George had Down syndrome. He spent two months in the NICU, but since that time, he has grown to be a healthy and energetic little boy, and a very special addition to the Berckmueller family! George’s diagnosis opened up their view to the plight of children around the world who are abandoned because of Down syndrome. 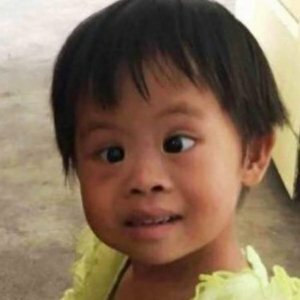 In August 2016, the Berckmuellers brought home sweet little Elsa from Asia, who also has Down syndrome. Watching her bloom and grow with the love of a family over the 2 1/2 years since she has been home has been truly amazing. After seeing firsthand the conditions of children in orphanages, particularly children with special needs, and seeing what the love and care of family can do for a child, it made Hugh and Janet want to pursue adopting again. They decided they had a little more room, a lot of love to share, and the heart to add another child to their family. Jaxon is living in the same orphanage where Elsa grew up, so they already feel a special connection to him. The Berckmueller family is so excited to welcome home this precious little boy! $82.45 has been donated towards the cost of our adoption! Adam and Siri Caudill enjoy life in beautiful rural WA. They are blessed with a biological daughter, Pia, born in September 2016. She is a sweet, smart and delightful girl who loves dolls as much as dinosaurs and trucks. Adam is a stay-at-home father and Siri is a veterinarian. They had both long felt the call to adopt a child, Adam having an adopted sister. Their hearts were reminded of this in an unexpected way. They were overjoyed to become pregnant with a second child, a boy named Riku, who they lost in the second trimester of pregnancy. Riku had Down syndrome. Siri and Adam were prepared to parent a child with special needs and were devastated by this loss. As a result, they were made aware of the need for international adoption of children with special needs. They are thrilled to be in the long process of welcoming a young boy (“Myrtie” on Reece’s Rainbow) into their family from Eastern Europe. They found his profile and immediately felt drawn to him. 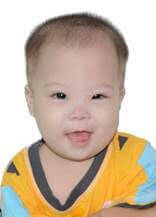 He has spina bifida and associated hydrocephalus. Even though he is unable to walk and does not yet have a wheelchair, he does not let this hold him back. His spirit has captured their hearts. His personality is often described as sunny and he exudes a great joy for life. 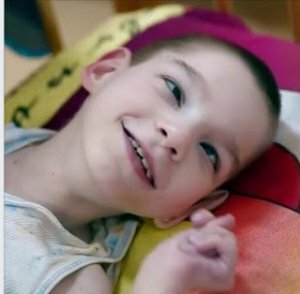 As every child deserves a loving home, they long to give him the love and medical care that he needs to continue to be such a happy boy. They are deeply appreciative of any support they receive in the efforts to bring their son home. $29.40 has been donated towards the cost of our adoption! His panoramic view has smashed our Polaroid at every turn. We can see only what is in front of us—the virtual snapshot of the life I’m living—and yet in his gracious goodness, He sees it all and is not shaken by the tidal wave of any one moment. His plan has been perfected in the waiting, and it is with great thankfulness and JOY that we find ourselves back here, in this space….waiting on His timing. We are adopting from Eastern Europe. We plan to name this little girl Saylor – a name that means ‘rope’ or ‘tether’. Her name has become a metaphor for this entire adoption journey. Our hearts are tethered to a tiny baby living half a world away. We’re tethered by the promise of what is to come, by the permanence God has already spoken over our family and the intention with which He’s chosen us for one another. God has anchored this little girl to our very souls and she is a part of us–even now. The need is great and the families are few, and we believe she is worthy. We desire to proclaim God’s gracious goodness and intention over her precious life. She is worthy of being wanted. We have chosen to pursue this little girl as our beloved daughter with deep, loving intention. We have four kiddos, ages 7, 5, 3, and 1 – two boys and two girls. I am a public school kindergarten teacher and my husband works for our state government. We aren’t uniquely qualified in any way to pursue an international adoption, but we love Jesus with all we’ve got and our steadfast faith is in Him alone. We believe that He will light this path as we walk forward to bring our baby girl home! We are stepping out in bold faith and brave love. International adoption is daunting, on so many fronts. The financial implications – especially for our big and blessed family of six – are substantial. We know this will stretch us, but we also know that God is so much bigger. We know He delights in bringing orphans into their forever families, and we raise our arms to Him knowing He will make a way for us in this season. He’ll light the path, and we’ll walk it in JOY as we bring our girl home. I always tell my three year old, as he’s running around the house at lightning speed with his eyes on the floor, “LOOK UP! Look up, so you can see where you’re going” Friends, will you look up with us? Will you fix your eyes on the One who adopted us ALL into His family as orphans, and will you help us bring this precious baby girl home? $14.70 has been donated towards the cost of our adoption! We are the Umstead family and we are so excited to add Caroline to our family! I am Heather and my husband is Tom. We have been married 26 years and have 4 biological children, 3 boys and a girl. One adopted son, and are in the process of bringing Caroline home to our family. Our biological children are all grown up and all but one are out on their own. That’s when God put adoption in our hearts. December 4th 2017 we traveled to Asia and brought home our son Samuel. Samuel has doubled the joy in our family! While we were in Asia we met Caroline who happened to be Samuel’s “bunk mate”. They had been together a long time and cuddled together during the cold nights because there wasn’t heat in their orphanage. We knew that one day we would return for her and we will name her Joy! The joy God has allowed us to experience on this journey, that is hard and sometimes ugly but also full of love and joy at sometimes. $24.25 has been donated towards the cost of our adoption! Martin and Jennifer are no strangers to adoption. After raising one another’s step-children to adulthood they met a local family that had adopted three boys with Down Syndrome through Reece’s Rainbow. They felt called to make that journey their own! They had a beautiful biological baby boy in 2013 and in 2014 brought home two wonderful T21 boys from Eastern Europe. In 2015 they traveled once again to bring home a little girl with DS and a little boy with Cerebral Palsy. 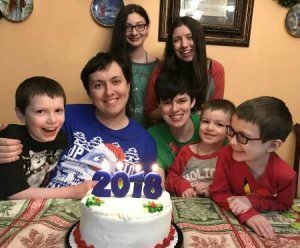 In 2017 they traveled to bring home the youngest of their crew of 6 littles, a second daughter with DS. As they settled into a new home and a beautiful future with their amazing team of little Quinn’s they asked themselves, “Whats next? Are we finished adopting?” They looked into foster care and respite care, always leaving their hearts and home open. When the opportunity presented itself to add another beautiful T21 Princess to their crew, without hesitation… they said YES! This amazing little girl is now the youngest of their family and has completed them without question. She was the “cherry on top” of this amazing journey! The finalization of this private adoption is expected to be in 3-5 months. They have been blessed by their good friends at ‘Angels in Disguise’ with a $2500 matching grant! Once the Quinn’s FSP reaches $5,000.00 they will be fully funded! They feel incredibly blessed to have such wonderful children and are committed to spending the rest of their lives caring and providing for these special children. Thank you for being a part of their “Forever”! The Quinn family has a matching grant of $2500! When their FSP reaches $2500, they will receive a match of $2500 — and be funded! $475.30 has been donated towards the cost of our adoption! Bryan and Dana have searched for their son for five years, and they’ve [finally!] found him in Eastern Europe! The Lankfords began their journey in 2014 when they became dual licensed, foster to adopt parents in Dallas, Texas. They have loved on and provided stability to more than 20 children since opening their hearts and home, but the child they waited for eluded them. During Thanksgiving 2017, Bryan and Dana saw a smiling, hopeful face on an international adoption website. They inquired and, less than a year later and after a whirlwind of paperwork and travel, they were overjoyed to become the proud parents of a happy, healthy, well-adjusted 16 year old Eastern European beauty who is the light of their lives. Yet there was an empty chair at the table.. the son who remained missing. They continued to search both domestically and internationally for him. 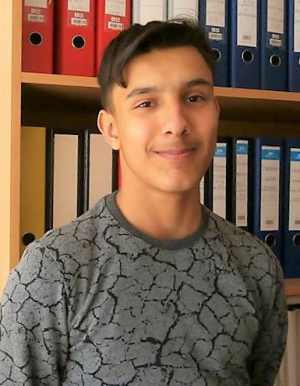 Mario is a 15-year-old Eastern European boy diagnosed with Epilepsy who will age out and become unadoptable in November, 2019. Mario has been listed on the international adoption register for the past six years. Six years of being passed over in favor of younger, healthier children; housed in an uncaring Bulgarian orphanage and then foster home in a remote, small town where his hopes and dreams fade alongside his chance of finding a loving family to call his own. Videos and photos show the light leaving his face as the years pass. Bryan and Dana have stepped forward for this precious child, confident that funds for his adoption can be raised before Mario ages out of the system and he loses his last chance for wholeness. Your donations are working miracles! Thank you from the bottom of our hearts. $68.50 has been donated towards the cost of our adoption! In 2010, Sam and Aaron met because two mutual friends found it strange that they both wanted “a lot of kids”. Their friends immediately introduced them. Within a few weeks, they were dating. Not long after, they had a serious talk about their future. Sam had grown up as a foster sister (her family had done foster care since she was 13). Her dream was to carry on that legacy. She wanted to foster and adopt. Aaron was fully supportive of this dream. Two short years later, they were married in July 2013! They have carried out this dream already twice! 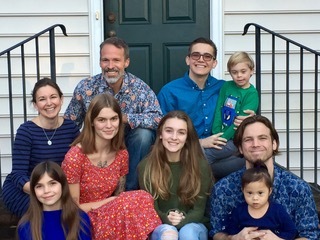 They welcomed a son by birth, then adopted a 5-year-old boy, gave birth to a baby girl, adopted a 13-year-old girl, and then welcomed another boy through birth. Their kids are currently 14, 9, 5, 3, and 4 months. That makes 5 kids in 5 years! Shortly after their second adoption, Sam found Reece’s Rainbow. She started researching and scouring websites full of waiting children all over the world. She read about “seeing the one” and “just knowing”. She asked Aaron many times about children she saw to see if maybe it was time to start an international adoption because they had simply found “the one”. She was heartbroken each and every time it was a “no”. In December 2018, they welcomed another baby boy, Maverick, to the family. This put them at five kiddos in five years and they were sure they were done for a while. But then on January 25, 2019, just a month and a half after Maverick was born, Sam saw a picture of a little boy that made her heart skip a beat! She immediately started emailing his agency to find out more. She knew for certain that this was “the picture” she had been waiting to see! She approached Aaron with hesitation as they had just discussed waiting to add more kids to their family. He said “no” again, but this time she asked him to pray about it because she was certain he was their son. One month later, she asked again. This time, he asked questions about the boy, his country, and the process. Two weeks later, they submitted their first documents to adopt him! God sure does work in mysterious ways!! They welcome your prayers as they begin this long process to bring home Odegaard baby #6 in just 6 years. They are so excited to meet their son but need help to get there! If you are able and feel called to do so, please pray for their journey and consider donating to help them get their son HOME. $101.85 has been donated towards the cost of our adoption! You’ve guessed it… the Richardson Tribe is growing again! This time the Lord has lead them to 2 boys. “Preston” is 9 and “Kaysen” is 15, both having cerebral palsy and epilepsy. Jaime and Chris are rushing to get paperwork done and get to the boys ASAP. Kaysen will be 16 in June however he weights less than 30 lbs and spends in life confined to a crib, receiving 300 calories of nutrition a day. He is wasting away. Preston on the other hand is thriving! He was on the brink of death before some missionaries were able to get him medical care and through a series of God sized events, he was able to enter a loving foster home. The government, however, is stating that he has to return to the orphanage where he almost died in June! The Richardsons need to get to the boys as soon as possible and they are praying for God to open the situational and financial doors to do so quickly. Kayson and Preston will be joining their 10 siblings, all adopted, and parents in Indiana, where they will have a wonderful church and local community to help support their growth and development. Thank you for your prayers and financial support in getting these precious children into a family where they will be cherished and belong. $1,451.42 has been donated towards the cost of our adoption! Preston has received a $11,898 Waiting Child Grant. Kaysen has received a $90 Waiting Child Grant. For those of you who know Jode and Kelley, you know they have felt for years that their family was not yet complete. Yes, they already have seven beautiful children at home, but when God laid it upon their hearts to once again adopt, they could not ignore the calling. 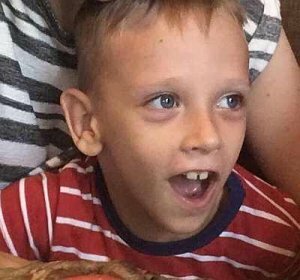 Inasmuch, they are pursuing a child (or two) from an Eastern European country – one which they have loved dearly and missed greatly. They look forward to going back and seeing those who have become like extended family. Having completed five international adoption, they know that adoption can be expensive. However, they also know that God is faithful. Experience has proven that where He leads them, He will also supply all that they need. If you would like to support their efforts, please hit that donate button. 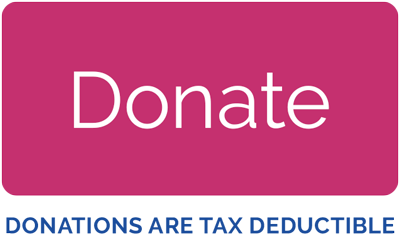 Your generous financial gift is tax deductible and greatly appreciated. The Robinsons will be adding updated posts to their blog as things progress. If you would like to come along on this journey, please follow their blog. As always, your fervent prayers are greatly appreciated! Thank you in advance for coming along with us on this amazing journey! 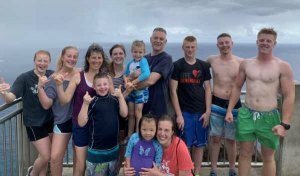 Jon and Ellen have been married for 27 years and God has richly blessed them with 10 children; 9 biological and 1 adopted. Ten years ago, their 8th child was born with Down Syndrome. 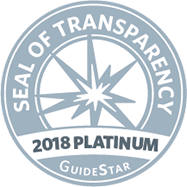 It was a difficult and dark time between both trying to meet the overwhelming physical needs of their baby as well as working through numerous feelings of grief and fear related to raising an “imperfect” child. 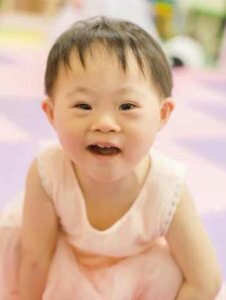 But our God has a beautiful way of reshaping hearts and minds and “working all things together for His good.” About four years ago, after being made aware of literally thousands of children abandoned in China with Down Syndrome, Jon and Ellen began to pursue their first adoption. 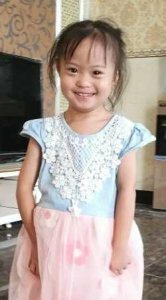 In early 2017, the Lindbloms welcomed home Naomi, a sweet four year old girl with DS from China. They have once again sensed God’s prompting and the whole family is very excited to be bringing Ayla Hope home to become part of the Lindblom family! $148.41 has been donated towards the cost of our adoption! Nick and Joy will celebrate their 10 year anniversary this year. 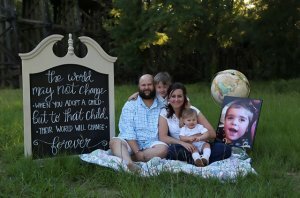 Their desire to grow their family through adoption started 3 years ago after their 4th child was born. They spent time researching different adoption agencies and became foster parents to over a dozen children from social services. During this time their hearts were struck by how compassionate their children were to those with special needs and the pull they had to grow their family in this way. Joy then reached out to an adoptive mom from her church who then introduced her to Reece’s Rainbow. 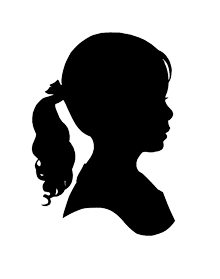 She told Joy there was one little girl whom her heart has longed to find a family. It was the same girl Joy and Nick had already inquired about and felt so inexplicably drawn to. All the questions over the years of what God was wanting them to do were starting to be answered! Now they are waiting for their invitation to pick up their daughter and bring her home. $15.00 has been donated towards the cost of our adoption! Mabel has received a $2000 country specific grant. I have always wanted to adopt. From the time I first heard about adoption I knew that God was calling me to it. When Jon and I started dating I told him that if we ended up getting married we would be adopting. He agreed whole heartedly, though a little less enthusiastically as me at first. Ten years after we were married God gave us the most amazing little boy through domestic adoption. Originally we weren’t going to adopt a child with significant needs, but God had other plans. 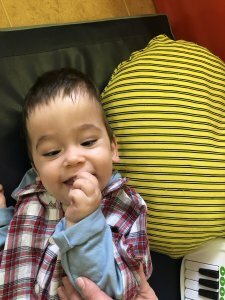 Our son has significant special needs and has amazed everyone with how much he can do at three and half years old. He never should have made it through pregnancy, never should have lived after his birth, and never should have survived to be adopted at two months old. But he did, and he’s thriving. We know firsthand what the love of an amazing God and the love of a family can do in a child’s life. 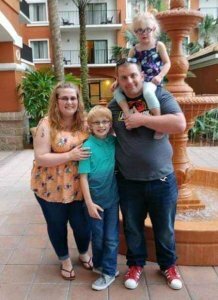 We were ready to adopt again, but things are more complicated the second time around when you already have a special needs child and only one parent working outside of the home. We were asking God for His child whoever and wherever they may be. We knew from the first go around that His plans are so much bigger and better than ours. We had been asking God to break our hearts for what breaks His. Then I saw a blog post about a boy who was aging out this year and my heart broke. Perry was ten years old when this blog was written, but that was three years before. And he still didn’t have a family. This precious boy was abandoned when he was a year old, and has been in the orphanage since then. He has cerebral palsy and scoliosis. He has no use of his legs and therefore is wheelchair dependent. 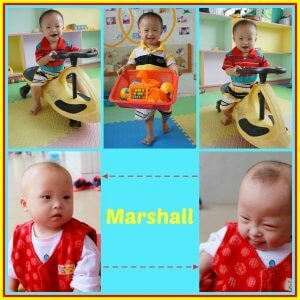 He is an outgoing child who loves other kids and outings. He is the resident storyteller in his orphanage and always has a ready smile. He has never gone to school because there is no wheelchair access in schools, but has had some special education at the orphanage and loves to learn. Perry turns 14 this July, and then becomes unadoptable. Will you partner with us to bring Perry home and give him a forever family? To give him a hope and a future? $994.98 has been donated towards the cost of our adoption! Perry has received a $5,000 Older Child Grant. 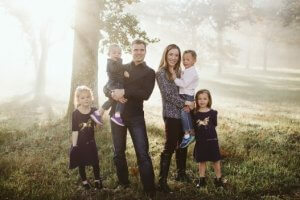 We are the Winslow family; a family of 4 who is working towards becoming a family of 6, by adoption! Our story began in 2007, when I met my husband, Dan. Dan was an active duty PFC in the Army and was a very proud soldier. Sadly, and proudly, the day came when Dan received orders for his deployment to Iraq, and it was scheduled to be an 18-month long tour. When Dan deployed that day, I was about four months pregnant with our son; whom was named after his dad. Unfortunately, Dan’s deployment did not go without complication. During a mission, one of his battle buddies dropped a very large and heavy tailgate onto the top of his head. This injury was not properly treated by the medical team and sadly everyone went on with their mission, Dan included. Over the next several months, Dan continued to serve in Iraq and did have many complications arise that were going untreated. When our adorable baby boy was born, Dan was unable to make it home. Dan was not able to officially meet Daniel until a “rest and relaxation” was allotted, which allowed Dan leave Iraq for 18 days to be home. At that time, Daniel was 2 months old. During the 18 days home, we were officially married. 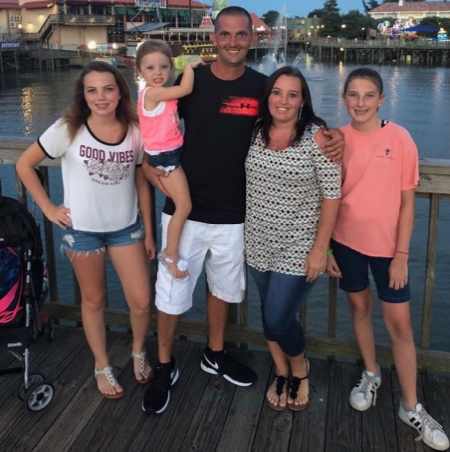 After returning to Iraq, two years after the initial accident, a brain scan was even completed and we learned Dan suffered a traumatic brain injury. Due to this, Dan’s “planned out future” of staying Army until a 20-year retirement turned into becoming medically retired from the United States Army at the age of 25. Dan and I were absolutely thrilled being parents, we always wanted a large family. We became pregnant again but lost the baby in a very early stage; this happened again during pregnancy number three and four. These losses were very hard on our family. In January of 2014, Daniel was 5 years old and we were once again blessed to learn that I was pregnant, but also absolutely petrified. Our beautiful little girl decided to come none the less; at only 25 weeks gestation; we named our tiny girl Joslynn. 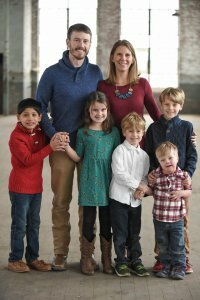 Throughout our marriage, Dan and I have always had discussions about adoption, our goal has always been to have a blended family of biological and adoptive children. We always had this image that when God spoke, we would know it was time to start the process to adopt from foster, but little did we know the plans He had in store for us. On a morning that seemed no different than any other day, I was scrolling on Facebook of all places and came across a post that a friend made. This post showed a picture of an adorable little boy with the sweetest grin. I learned that this sweet child was in Eastern Europe and I learned this child was an orphan and had a lot of the same special needs as our Joslynn! I can’t explain it in any other way then that I felt God speak to my heart. It was as if He said, “this is your son.” Then we came across a little girl with adorable curls and it was as if we could hear her laugh through her photo. Dan and I just looked at each other and we knew. Feeling so called, we started praying very fervently, this was such a big cost and a scary one to boot. How could we possibly think we could do this? When speaking to Daniel and Joslynn regarding the children, they were both so excited. Daniel yelled out “I will make a lemonade stand! We can raise the money” and our hearts just melted. 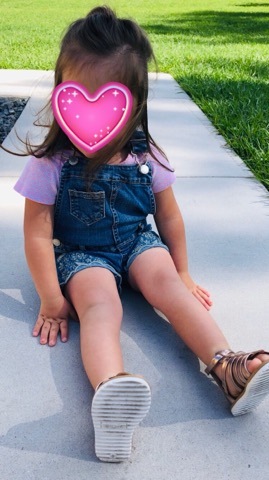 Just today, our little Joslynn found a penny in a parking lot and excitedly exclaimed “this is going to help bring our babies home!” Its such a big leap of faith, but as a family it’s a faith walk, we feel God is calling us on. We are trusting in Him to provide and doing all we can to be open vessels for that providing. $48.50 has been donated towards the cost of our adoption! Silas and Patricia have each received a $2000 grant! Meet the Coyle Family: Nathan, BJ, Chord, Mo, Emory, Lena, and Mylee and coming soon … Campbell who is called “Lainey” on Reese’s Rainbow. We have been married for nearly 17 years and have 3 biological children and 2 foster children. We reside in Kentucky. We were introduced to the idea of international adoption through friends and that’s how we “met” our girl. We were drawn to her file due to her medical condition and BJ’s experience working with children with muscular dystrophy as a pediatric physical therapist. Campbell has spinal muscle atrophy, which is a type of muscular dystrophy. Medication for treatment is not available in China but it is in the US. As Campbell waits on this medication she gets weaker and weaker. Every minute she waits she is loosing basic functional skills. We are working hard to bring her home quickly so she may get the treatment she needs. She has been waiting on her family for a very long time, nearly 6 years. Please help the Coyle family! All seven members of our family plan to travel to welcome Campbell our family. We would greatly appreciate your prayers and welcome any financial support as we work hard to bring their daughter home as quickly as possible. $29.14 has been donated towards the cost of our adoption! I AM GETTING A FAMILY TO CALL MY OWN! YAY! My family is Jackie and Stacy Dye from Kentucky! They have three adult biological children and four more little LOVES adopted from my country. How fun is that going to be for me?! My mommy and daddy began the exciting journey in January to bring me home and make me their daughter. They sure love me a lot and are working SUPER fast, but they need your help! It breaks my mommy’s heart that I have been waiting on a family for 5 YEARS and she doesn’t want me to wait a day longer for then than I have to. 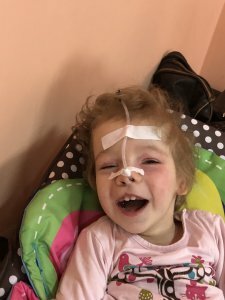 It is her big prayer that you will walk alongside them on this journey, help them raise the funds needed to bring me home and also pray for my tiny heart, both medically and emotionally as we work hard to get me. We were all created by a loving God to be LOVE in the world. Thank you for helping me get home to my forever family. Sharing is caring! 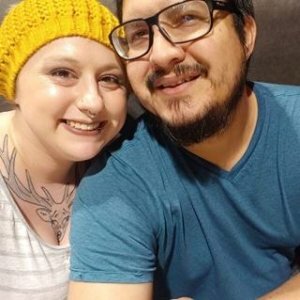 Show me some LOVE by donating and sharing! $460.75 has been donated towards the cost of our adoption! Darrel and Shonette Koebel have been married for almost 31 years. Darrel, is retired from the Air Force, he served 24.5 years for his country. After retirement Darrel decided to serve his community and became a law enforcement officer. He currently works for the Sheriffs department in his county. Shonette is a stay at home mom, wife and homeschool teacher to her kids. When Darrel and Shonette were dating they talked about having two kids and adopting two. Little did they know the love and joy they would experience through adoption! They had two children, a boy and girl. Then they decided it was time to start their journey with adoption. They got licensed as foster parents and were lucky to get twin infant boys. They were 3 months old when they got them. They had a lot of growing to do. They were born at 27 weeks. Darrel and Shonette fell in love with those two boys. It was a rough journey, but so rewarding. After a year of having the twins, they were able to adopt them. Then Shonette got pregnant a few months after the adoption. Soon their family would become a family of six. However, God had another plan in mind. When the Koebels had five children, the state called and asked if they had room in their hearts for two more kids. The Koebels couldn’t say no. They took a two-year-old little girl and eight month old boy. That would give them three two year olds and two infants, as well as their older two. Five in diapers at one time, the Koebel’s hands were full and their hearts were overflowing with love. After two years with these two little ones, the Koebels adopted them. They thought they were done. Yet again, God had other plans for them. Not even a month after they adopted those two kids, Shonette found out she was pregnant again. They were shocked and wondered what God was doing. They were given shirts that said eight is enough. As they prepared for their eighth child God decided to blow their socks off. The two they had just adopted, their mother had another baby boy. The state asked them if they would take him to keep siblings together. What were they supposed to say? They stepped up and said yes. Darrel and Shonette took in this baby and got him on a good schedule before Shonette had their fourth-biological child five weeks early. The Koebel’s felt content and were happy with their family. However, again God has His plans not theirs. The Koebels were drawn to Eastern Europe. They felt God telling them to go and adopt from overseas. They jumped and flew across an ocean to bring home another little girl. This would bring their total up to ten kids and they were blessed beyond their wildest dreams. Then, God placed that nagging feeling in their hearts again. They saw a picture and knew this little girl were supposed to be their daughter. The Koebels stepped out on faith again to bring home another little girl from Eastern Europe. Darrel and Shonette, thought they were done. Yet again, God had other plan. They saw a picture of a little boy and knew God was asking them to make him their son. 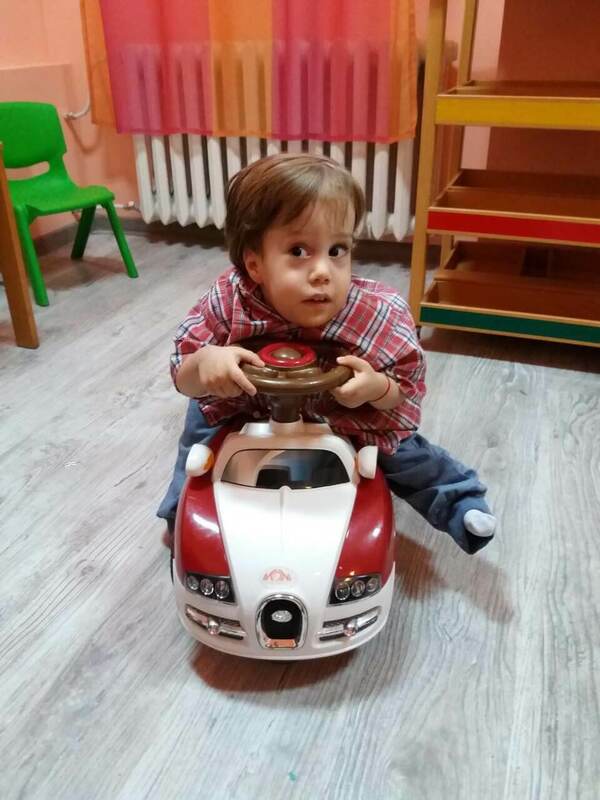 The Koebels are adopting a little boy from Eastern Europe. They feel this is the missing piece to make their family complete. Darrel and Shonette have a fire in their hearts that burns strong and fierce for orphans. They love these kids with all of their hearts. 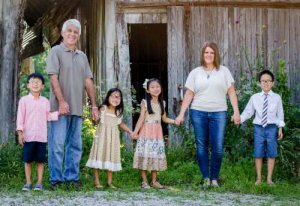 Darrel and Shonette know without a shadow of doubt that God has given them this love and desire to bring orphans into their home to be their forever family. The Koebels are not crazy. They are insanely in love with children that no one wants. They know how hard and difficult adoption can be. However, they believe God will provide and walk along side them on this journey to bring home another child. $108.64 has been donated towards the cost of our adoption! Bryant has received a grant of $3,817.96. 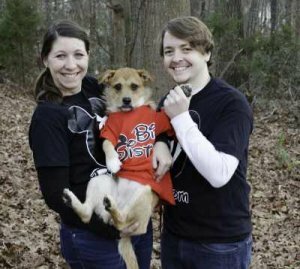 Eric and Blythe are really excited about starting this adoption journey to bring Tabitha home! They believe that she will be the perfect little girl to join their family and all of their other kids agree! Eric and Blythe currently have five amazing children and this will be their fourth adoption. Adoption is an important part of their family’s story and they are so thankful and humbled to have the opportunity to walk through it again. They know that their youngest little girl is waiting, an oceans lengths away, and so they are running as fast as they can to get to her! Eric and Blythe have seen, time after time, how God makes the impossible POSSIBLE! They are fully putting this adoption in His hands and believing that He will provide the energy and the funding to make it all happen. They are thankful for each and every person that joins them in helping to bring Tabitha home. $2,019.73 has been donated towards the cost of our adoption! There are times in our life when God is calling us to step out on faith and trust in Him and no one could have given us a more profound love and help us have a greater faith and trust in our Lord than our precious second born son Jake. Born with a terminal illness that left him severely handicapped and medically fragile, Jake opened our eyes to a whole new world of special needs, chronic illnesses and medical fragility that we never knew existed. Yet through all the struggles, we found the true face of God, our Rock, our Redeemer, our great Comforter. Because of his pure and selfless love, having Jake as our son has completely transformed our lives and we are forever changed by God’s blessings and His goodness. He has blessed us in this life with 3 wonderful sons and although shortly after his 3rd birthday, we were stricken by life’s greatest tragedy in losing our precious and beloved Jake, we can’t help but be thankful that we have been chosen for such a treacherous journey because through the storms, our eyes have been opened to see the beauty of God’s precious orphans that are in need a mother and father to show them the love and comforts of a family. Because of Jake, we have a heart for God’s special children living in orphanages that have been “thrown away” and otherwise forgotten. To others they may seem damaged but we see the true beauty that God sees in them and we know the full potential they possess if only given the chance. We feel that God is tugging at our hearts to adopt our 4th son whom we believe God has already chosen for us; a precious angel who was placed in a orphanage simply because he was born with Down Syndrome. What his birth mother saw as a burden, we know if a gift from God and we want to show him how worthy and loved he truly is but we need your help to make him ours. We are fully stepping out on faith and trusting God to make a way financially for us to bring our next child home. We trust in Him and know that He will provide for our needs. We want to thank you in advance for helping us bring our precious angel home and give him a wonderful family who will give him the life he deserves. $242.50 has been donated towards the cost of our adoption! Steve and Kim Tiller have been married since 2005, but their story began long before then. Not really running in the same circle of friends initially, both Steve and Kim have been active Kingdom workers in New Hampshire and globally since the 1990’s. They even got to spend the turn of the century serving together with others on a short-term mission trip, helping to clean up and prepare an orphanage building in Guinea-Bissau, West Africa. Not long after, Kim trained for and transitioned to working with Youth With A Mission (YWAM) in Kyiv, Ukraine. While applying the love of Jesus through volunteering, she felt God’s calling to adopt a young boy with Down Syndrome named Taras (Ty). Kim and Ty traveled back to the USA in late 2004. Very impressed by God’s provision and Kim’s faithfulness, Steve was blessed to spend lots of time with Kim and Ty in the early weeks of 2005 (which resulted in them getting married in August of that year). In July of 2006 their son, Jacob, was born with Down Syndrome. Jacob’s path of visiting doctors, being helped by feeding & swallowing specialists, and receiving Early Intervention was blazed beforehand by his older brother. Jacob is the Tiller family’s little director and has been acknowledged as well to be the king of the schools he has attended (starting in preschool)! A few months before Jacob turned 3, the Tiller family was expanded by another son, Zachary. Though not having Down Syndrome, Zachary is compassionate, a great friend and advocate for his brothers. The Tillers have been blessed beyond measure by these three boys & the community of friends and family that surround them. Kim has always had a desire to adopt more children, especially kids with Down Syndrome. 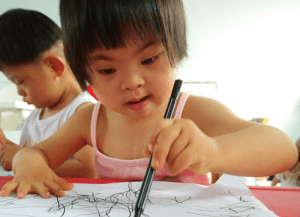 The impact of her first-hand experience of seeing what institutional life can be like for children with special needs and the corresponding challenges in their early years has motivated her to be an adoption prayer warrior. 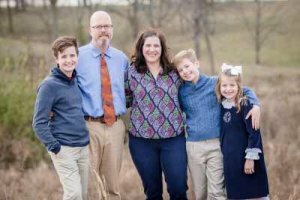 In 2012, she stepped up her prayer efforts with the help of Reece’s Rainbow website, spending significant time lifting up the children in the various stages of adoption and those yet to be adopted. The Tiller boys would also join her by praying for specific children and would rejoice when some would come home with their new families. The Tillers are excited to share the news that one of these precious children will be joining their family. 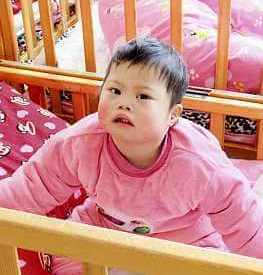 They have agreed that it is time to welcome home a little girl with Down Syndrome. Julie’s sweet smile drew them right to her! They are looking forward to sharing in God’s upcoming blessings with her and showering her with the love of a family. Ty, Jacob and Zach will be fantastic big brothers. Zach in particular is especially ready for her to come home soon! Your prayer & financial support has a huge impact in God’s Kingdom and is a true blessing to the Tillers! $1,383.75 has been donated towards the cost of our adoption! Julie has received a $5,000 Older Child Grant. From four to seven all in a year. Only God can move mountains like the Kingsleys have seen. Some would call it a miracle. The completion of their family has been a marathon and a sprint all wrapped into one. Their endurance fueled by love will carry them to the finish line, and bringing home sweet Wyatt will be their reward. 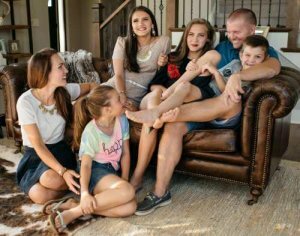 Aaron and Gretchen recently completed the Eastern European adoption of two older teenage sisters, Maliyah (16) and Mira (15) after God led their family to the girls through an orphan hosting program. Maliyah and Mira joined Natalie (11) and Nolan (9) and made their family six. But God wasn’t finished with them yet. Just when they thought His plan was complete, God showed them a sweet boy from the other side of the world that tugged on their heartstrings. Growing up with a brother who had special needs and is now her angel, Gretchen knew there was something special about Wyatt when she saw his sweet face. It rang deep within her, the need to bring him home. Gretchen had been praying for months that Aaron’s heart would open to Wyatt, but she kept her desires quiet. If it was God’s will, she knew he would do the hard work. On the evening before her birthday, Aaron saw Wyatt for the first time and insisted he should be a Kingsley. God delivered on a miracle that was previously presumed to be out of reach. But isn’t that what He does! He was paving the way for this beautiful family! Building a longer table and not a higher fence was their motto, but were they taking on too much, they wondered. Were they capable of raising one more? Was a child with Down syndrome out of their league? 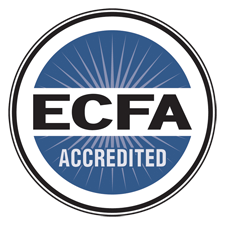 After much praying, it became clear they were not equipped, but that God had indeed called them, and so with their faith, they knew He would equip them! Weeks later, the family committed to Wyatt on his fifth birthday and have been on a sprint ever since. 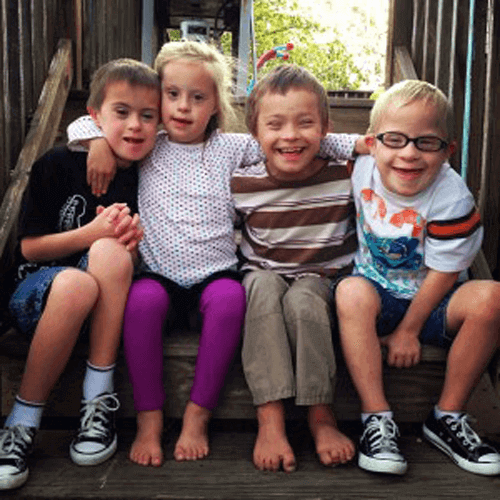 Filling their days researching, completing paperwork, visiting GiGi’s Playhouse, and meeting with families of children with Down syndrome has been their new normal…and they are loving it! The Kingsley family feels so blessed to have seen Wyatt and is so grateful to Reece’s Rainbow. With the recently completed adoption of their oldest daughters, they understand they will have to get creative with their fundraising. Any support through prayers, words of encouragement, or financial contributions will never be overlooked or forgotten. The family is forever grateful for your support. Please help them bring Wyatt home! Stacy gathered up the courage to discuss this unexpected adoption possibility with Steve and the boys, Kye (17) and Kade (14). ALL of them agreed that nothing about it made any sense: Yia was from a country that would require them to switch agencies, countries, and start back at square one with their paperwork, Yia had a lot of medical unknowns (though they love that she is a heart warrior just like their son, Kye), Yia was younger than they had considered, and, financially, their failed adoption left them completely unprepared to pursue her adoption. And yet, they have decided to step out in faith because it is clear, beyond a shadow of doubt, that Yia is their daughter. They are believing and trusting that Yia has been the plan all along, and, so far, each step of this new journey has confirmed that. Yia has received a $5,000 Older Child Grant & an Older Child Grant of $1,102.65. The Simpsons are a large blended family that includes his, hers, and their two long term foster children. Joe and Jessica have been married since 2012 and since that time have been very dedicated to their family! After several years of trying to have a child together and many losses, the Simpsons realized that their path towards more children in their lives would be a different one. The Simpsons family live in Eastern Washington where Joe and Jessica have been tribal foster parents for Joe’s tribe for almost four years. They have had over a dozen children and their home and have learned so much about various special needs and the effects trauma can have on children. Joe is the business manager for the IT department for his tribe’s government. Jessica’s main priorities are taking care of their home focusing on the individual needs of the children in their home. She has also worked several jobs involving foster children including her current one where she provides support to older Foster youth with special behavioral needs. They became aware of a child on Reece’s Rainbow through the MACC program and their hope is to add one last child to their family. They are working very hard towards bringing this special child home! $194.00 has been donated towards the cost of our adoption! Jason and Melinda have been married for 22 years. They have three bio kids, Olivia, age 15 and twins Ace and Quinn, age 11. Jason works for a pharmaceutical distributor and Melinda is a Worship Leader. Adoption has been something that Jason and Melinda always felt called to and knew that it would be a part of their story. From a very young age, their son Ace would pray every night for a brother. Once Ace and his twin sister, Quinn, were in preschool, they were gifted with a classroom friend with Down Syndrome. A friendship developed that lasted through elementary school, and Ace’s prayers changed to “please give me a brother with Down Syndrome.” They knew that God was affirming this plan through the calling on Ace’s heart. Jason and Melinda decided to stop making excuses and jump in with both feet in February of 2018. They saw the profile of Keane (who they will name Ezra James) and knew that this was the brother Ace was praying for. The Simmons family is so grateful for all those who are coming alongside them in this journey and making it possible to finally unite these brothers. $4.85 has been donated towards the cost of our adoption! 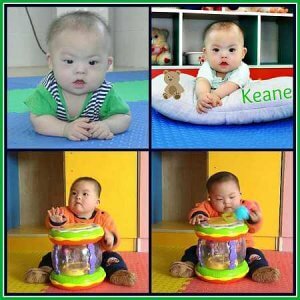 Keane has received a $5,000 Waiting Child Grant. Sheryl and John met while supporting adults with disabilities, most of whom have Down syndrome, and married five years later. Early into their relationship, they were committed to adopting a child with Down syndrome. That plan was put on hold when their second child was born with Down syndrome. He was closely followed by his little brother. Tragically, their middle son passed away suddenly after his fourth birthday. 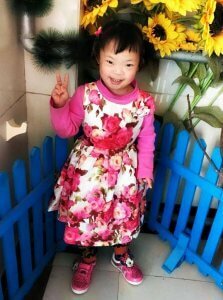 John and Sheryl again recommitted to parenting a child with Down syndrome, and brought home a Reece’s Rainbow child with Down syndrome in February of 2018. They tried to bring home another little boy at the same time, but rule changes went into effect which prohibited this plan. A vow was made that, if everyone in their family was adjusting well from the adoption, they would go back for the other boy. And the time has come! The Kincinas family is excited to travel back to Asia this summer to bring home Marshall. He has been in their hearts for nearly two years and they are eager to have him in their arms. Their kids are thrilled to have another sibling to run around with, and are looking forward to another adventure in Asia.They thank everyone who has advocated and prayed for Marshall and appreciate any financial help that is given. $907.24 has been donated towards the cost of our adoption! Marshall has received a $5,000 Older Child Grant. Matt and Christy Sellers have been married for 21 years. They have 6 children, 3 of which were adopted internationally and just happen to be rocking an extra chromosome. 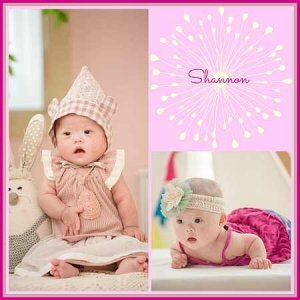 Their love for children and Down Syndrome has led them to pursue another sweet girl to add to their family — and she will soon be named Glory. They love investing in the lives of children. Seeing each child grow and change has been one of their most exciting seasons of their marriage. It has grown them to be more like Christ. Adoption finances are challenging, but so worth the work. If you would like to be a part of bringing their little girl home, please consider donating. They are trusting that God will provide the means to bring her home. We can’t wait to see what God is going to do! $1,325.40 has been donated towards the cost of our adoption! We are the Roeske Family. Darrell and I during our time dating talked about adoption. It has always been a part of our eventual story, even if we were able to have biological children. We just didn’t know the timing or how we would make that possible financially. Years past and we continued to pray and be open. Five years ago we encountered the opportunity to host a child from China, and this began our journey into the world of opening our home for the children God would call us to. At the time we were parents of 2 girls, and during our first adoption process we found out we were expecting… so with an 9 year old, a 5 year old and a 3 month old we made our first trip to China to adopt our first son. We knew we would be back. Our hearts we tied to the calling of adoption. It was not just a calling of Darrell and I, it has become a family calling. 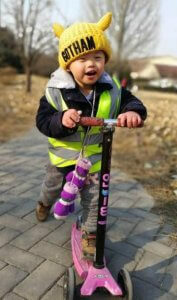 Each of our children have a growing passion for the fatherless and especially children with Down syndrome. We are all excited to welcome our sweet girl into our family and long for her to be forever home. They are stepping again … This will be Dennis & Cindy’s 4th Adoption. 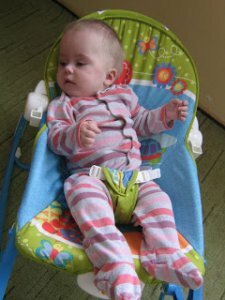 In 2012 their first Adoption Journey was for their little Adalyn in Russia. They traveled in December, spent a week with their precious little one, while they were with Adalyn the threat of the Ban was circulating. The Judge was trying to get them back quickly for Court. But a week after their return home the Ban became law and Adoptions were stopped in Russia. They did everything they could, gathering with the other families that also had children behind the Orphanage Gates in Russia, meeting with our Government, Praying, Believing. Adalyn is now 8 years old still in an Orphanage, we still Believe for the day she will come through the Orphanage Gates & Home. In 2014 God brought two little ones Abraham & Sarah. They knew the two little ones were their son & daughter and on January 7, 2014 they Committed to adopt two little ones in Ukraine, just 2 & 3 years old, biological siblings. A month after starting their Adoption the War broke out in Ukraine and the two little ones were in one of the 3 Cities where the War was. Dennis & Cindy still continued, Believing, listening to God, knowing He would bring their babies home. On May 7 their paperwork was submitted and on June 7 they got travel dates. But soon were told they could not travel due to active bombing in their children’s city. God spoke through it all & they Believed, Prayed, clung to their Faith & never gave up. On Dec. 4, 2014 just as God had spoken, Abraham & Sarah took their first steps in America, their Home. God did Miracle after Miracle in protecting, bringing them out of a War zone and brought them Home just as He spoke & Promised… They will be Home for CHRISTmas, and they were. In February of 2016 God brought another little one to Dennis & Cindy. Little Ayden … Ayden’s adoption was another Journey of Trusting God, watching, Trusting and seeing once again His perfect timing , Miracles. On December 7, 2017 little Ayden took his first steps on American soil. When Dennis & Cindy were in Ayden’s adoption God brought a little 10 year into their Home through Hosting , little did they know then what God’s plan was. They Hosted this precious little boy now turning 13 in March 7 times in their Home. God is still unfolding His plan for this little boy in their family. Then in October of 2018 God brought a little girl, Little “A” just 6 years old. While following another family’s Adoption Cindy saw on their page this little one, they were looking for a family to Host her for CHRISTmas… Little A was their Sarah, she could be Sarah’s Twin. When Cindy showed her video to Abraham, Sarah & Ayden they all thought it was Sarah. Cindy wrestled for a week trying to figure this one out. How could they possibly do this, they were already Hosting their little boy, this was another Hosting Agency, would involve raising funds, flying to another city to pick her up. After a week she went to Dennis & when she showed him her picture & video he too thought it was his daughter Sarah. So they stepped in faith seeing what God would do. In a day He provided all her funds for Hosting and then He provided all her flight fees. When she landed on Dec. 19 in Texas & Cindy saw this tiny little one come through the doors, frightened, looking all around, not knowing where she was with tears in her little eyes. She scooped her up and immediately she knew and her heart broke knowing in just a month she would have to send her back. Little “A” fit into our family from the minute she stepped into their lives. She was another CHRISTmas Miracle, a Gift from God and when Cindy asked God how can we do this again, how can we send her back. God told her. I brought her to you. You have to send her back so I can bring her Home. 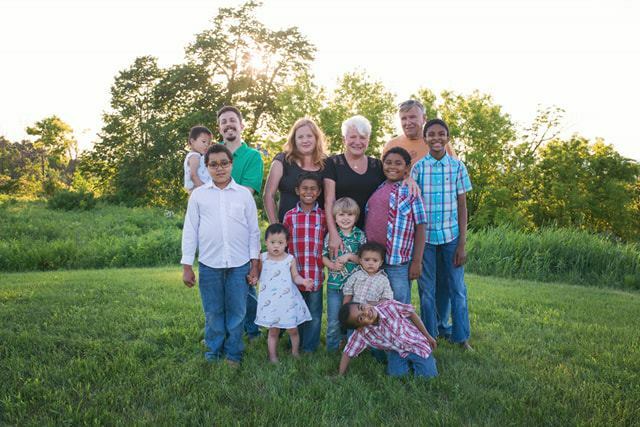 So here they are again after raising their 8 children to Adults, 9 Grandchildren, God opened their hearts, their Home & family to Adoption … They will continue to step & follow … Will you help them bring their Precious Little “A” Home?